Corn is absolutely, one of the most delicious things present on earth. If you are fan of eating corn, like me, you have come to the right place! Today, we shall look at a corn recipe that is as popular in the east as it is in the west. Corn on the cob! And one of the easiest ways to cook this is from frozen corn. If done properly, you are not going to even notice the difference! Easy to cook, tasty to eat! Let us look at some methods in which we can eat our frozen corn on the cob. It is always better to thaw the corn before you boil it. But, if you are in a hurry there are certain steps you should follow. Take a large kettle and fill it with water up to the brim. Put it on the burner and bring to boil. Keep the frozen corn ears directly in the water. The water is going to stop boiling for some time, depending on the number of corn ears inserted. Let it boil again. Now time the corn on the cob. It should be ready to eat in around 10 minutes. Take the frozen corn ears and place them in a dish in the microwave. Fill 1/4th cup of water and pour it in the dish. Heat on high and turn over the ears once in between. The general standard is approximately 3 minutes for one corn and 2 minutes extra for each extra corn. Grilling is another option for preparing the frozen corn on the cob. Preheat the grill to around medium. 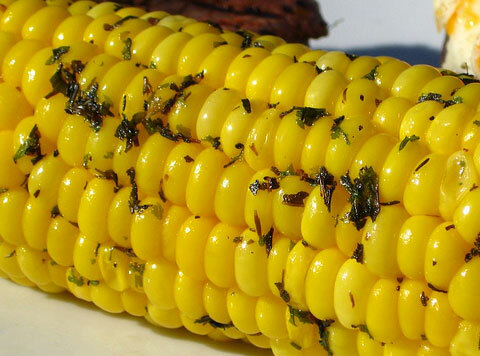 Apply some butter on each corn, which is essential for grilling any food. Add salt and pepper according to taste. This can be done later too. Grill for approximately 30 minutes or till heated evenly. If you want to bake, you have set the oven to approx 425 degrees F, i.e. preheat it. Like we did in grilling, apply butter on the cob and add salt and pepper according to taste. Keep a sheet in the bottom of the oven to catch all the dripping butter. Don’t overcook the corn, or it will be too mushy. Do not add salt, if boiling, otherwise the corn becomes tough.